Congratulations on your hard work! We hope you've had an amazing Upside journey with us so far! Now it's time to share with us about your experience on GOOGLE - at any locations of your choice. 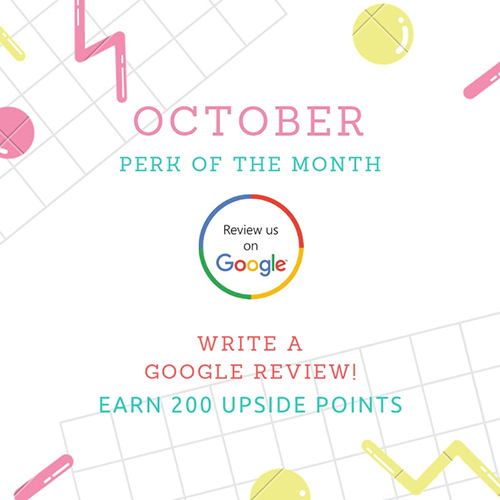 Email us at enquiry@upsidemotion.com together with a screenshot of your review to redeem 200 Upside Points on our Perkville Loyalty Programme! *Points will be credited to your account within 10 working days.